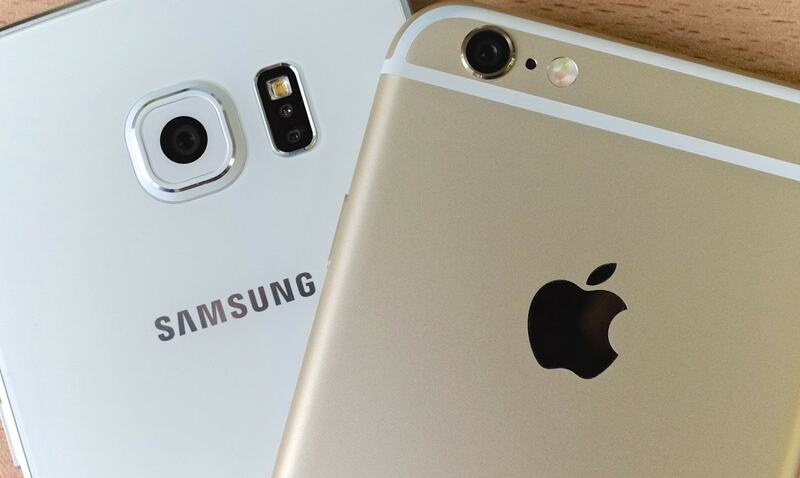 Which Is More Popular: Apple or Samsung? While Apple and Samsung have a bitter rivalry around the world, it's no contest in Japan: Apple dominates all competition. It seems "iProducts" have a much stronger presence here and you'll definitely see more iPhones, Apple Watches, iPads and iMacs around the nation. Let's take a look at how this phenomenon began. The above image is the Japanese version of the Galaxy S8+. Do you notice anything missing? The brand's name: Samsung! Samsung purposely left off its name off from all Galaxy phones in Japan, leaving only the word "Galaxy." Why? Simply, Korean products, such as Samsung, don't have a positive image in Japan, as Korean electronics are considered inferior to their Japanese counterparts. As quality is highly valued by Japanese consumers, Samsung suffered losses due to this image for many years. Therefore, in 2015, the Korean company made the decision to take away the name Samsung on the Galaxy smartphones, so the product can stand on its own merit. Unfortunately, it didn't work as planned. On the other hand, Apple entered the market with a cool and trendy image. That is why Apple could become one of the few foreign brands that could conquer this market. Another point for Apple is that the company strives to keep the lines of communication open with their consumers. Apple updates its site regularly, releasing new products for near-immediate purchase after the official product announcements. Besides that, Apple regularly employs impactful billboard ads all over the nation: in stations, on the streets, inside magazines, etc. Their ad designs are always eye-catching and easy to understand. On the other hand, Samsung has closed down their Japanese official page back in 2014, leaving only a Galaxy Mobile Japan page, with no "Samsung" mentioned, other than the copyright. In terms of advertising, you'll rarely see Samsung posters around Japan. Considering the hardware, peripheral products and stores, it's easy to find why Apple has such huge popularity in Japan. Apple designs its products and stores under one key theme: simplicity. Stores designs are minimalistic, open, bright and spacious (minus the shoppers). Products are easy to use right out of the box and simple to upgrade. Most importantly, Apple differentiates its products from other competitors with a streamlined and future-forward design. Samsung, on the other hand, doesn't have any stores in Japan. A Galaxy Studio opened in Harajuku but only until December 26, 2017. Unlike Apple, however, Samsung products are difficult to differentiate from other smartphone competitors, which is another reason it's harder to convince Japanese consumers to use this Korean brand over their own domestic ones (Sony) or Apple. Other than cool designs and stylish branding, Apple also makes an effort to incorporate its products into daily lives of Japanese consumers. iPhones are available for purchase from all three major telecoms in Japan (Docomo, Au and Softbank). Also, unlocked iPhones are finally available here and Apple Pay has arrived, and its integrated with FeliCa IC cards, which are used widely in Japan at convenience stores, stations and even popular shops like Uniqlo. However, Samsung phones are only available through Docomo and Au, and Japanese Galaxy phones are still region locked. Finally, as of October 2017, there's no Samsung Pay functionality in Japan. From the points above, it's really not hard to see why Apple has found ample success in Japan.